Bead stitching encompasses so many different techniques it is impossible to show them all here. Bead stitching is done with a needle and thread – like sewing – and there are different stitches to accomplish different looks. There are flat stitches, tubular stitches, and many other different combinations using different sizes and types of beads. Spiral rope, netting, and herringbone stitches are just a few of my favorites! 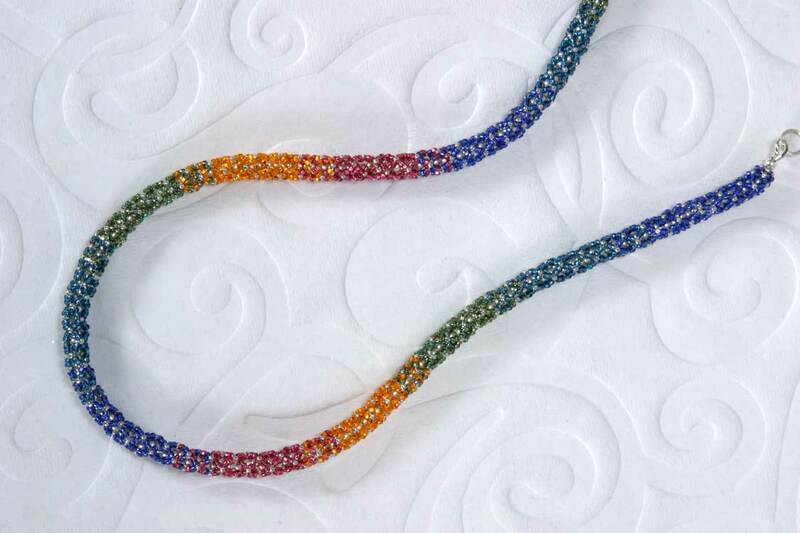 Browse the Bead Stitching samples in my Portfolio to see just a few of the possibilities!